FACT CHECK: Did immigrants illegally residing in the United States file a lawsuit against the state of Georgia demanding driver’s licenses? Claim: Immigrants illegally residing in the United States filed a lawsuit against the state of Georgia demanding driver’s licenses. A group of illegal aliens filed a federal law suit in Georgia for what they claim to be a violation of their constitutional rights by denying them driver’s licenses. A group of immigrants who are living in Georgia without legal status filed suit against Georgia’s Department of Driver Services in federal court, accusing the state agency of violating their constitutional rights by denying them driver’s licenses. The headline suggested the plaintiffs sought relief via a lawsuit filed on their behalf on 31 August 2015 so they could obtain Georgia driver’s licenses, despite the fact that they maintained an immigration status through which they were not entitled such privileges. The article’s content subtly suggested that those persons party to the suit believed they were legally entitled to driver’s licenses in Georgia and were thus wrongly denied proper legal documentation. This week, a group of illegal aliens filed a federal law suit against Georgia’s Department of Driver Services for what they claim to be a violation of their constitutional rights by denying them driver’s licenses. This summer, Georgia started refusing to issue illegal aliens driver licenses because they are “not legally in the United States”. The law-suit states that this act is violates their Equal Protection rights. As part of our continuing commitment to defending the rights of immigrants, today, Taylor Lee & Associates filed a lawsuit against the Georgia Department of Driver Services (“DDS”) in regards to their policy of denying driver’s licenses to certain aliens who are legally present in the United States. Instead of obeying federal law, DDS has decided to institute its own definition of “lawfully present” and issue licenses to aliens whom it deems to be in the United States legally and who only have certain kinds of employment authorization documents (“EADs”) from the federal government. This selective policy is clearly illegal, and has been litigated in other parts of the country to a successful conclusion for the immigrant community. We would have preferred not to litigate this matter, but DDS would not compromise, and the rights of immigrants cannot be deferred any longer. Georgia’s Department of Driver Services (DDS) declined to comment on the pending litigation or the suit’s claims, and the actual content of the suit has only been reported secondhand. While the AJC claimed that the plaintiff’s legal status was murky (and NumbersUSA claimed the immigrants were here illegally), the law firm representing them countered that the “aliens [were] legally present in the United States.” According to the firm, the denial of driver’s licenses over which the plaintiffs filed suit was a “selective policy” and “clearly illegal.” As litigation remained ongoing, so too did ambiguity over whether the plaintiffs were entitled to driver’s licenses with respect to their immigration statuses. 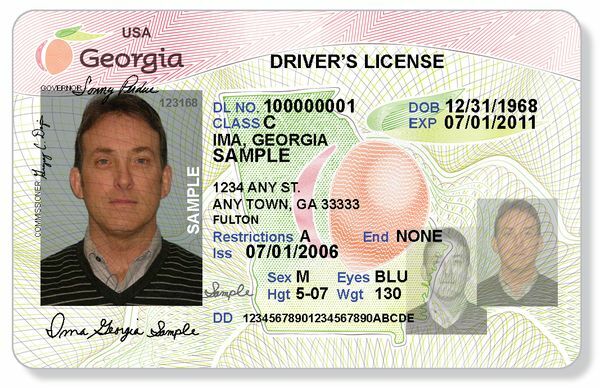 Georgia’s DDS and immigrants residing in the state disagreed upon whether certain alien residents were legally entitled to driver’s licenses, and it did not appear from the scant information available that the plaintiffs sought a change to extant laws, rather than arguing for the issuance of driver’s licenses to which they were already entitled under the law.